Quebec doctors are reporting two cases of infections following open heart surgeries that appear linked to the use of medical devices used in operating rooms. 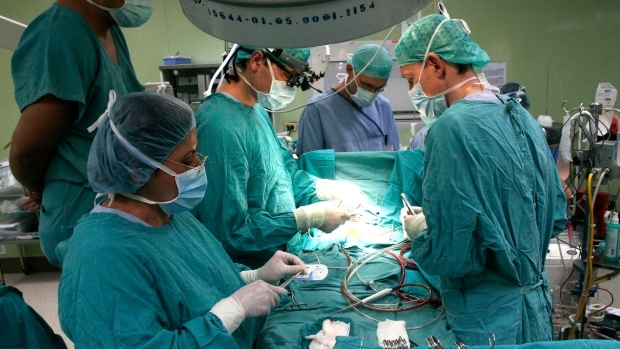 Heater-cooler devices are commonly used during open chest surgeries and other operations to control a patient’s blood temperature through use of temperature-controlled water. The machines have been under scrutiny recently due to international reports of nontuberculous mycobacteria (NTM) infections associated with the devices. Health Canada issued an alert Oct. 21 reporting there have been international reports of NTM infections associated with devices in which bacteria-contaminated water was transferred to a patient during open heart surgery through the air. Symptoms associated with the infections include night sweats, muscle aches, weight loss, fatigue, or unexplained fever. In serious cases, the infections can lead to death. Dr. Louise Poirier, an infectious disease specialist at the University of Montreal and Montreal Heart Institute, reported two cases in Quebec of this infection at a late-breaking session at ID week, an infectious disease conference underway in New Orleans. There are reports the two Quebec patients required re-operation because of endocarditis, which is linked to the bacterial infection. Endocarditis is an infection of the inner lining of the heart that, left untreated, can damage or destroy a patient’s heart valves and can lead to life-threatening complications. It’s unclear if there are more patients with the infection in Quebec or across Canada. Swiss researchers reported in a study last year that it can take between 1.5 and 3.6 years for endocarditis to manifest in patients. Several U.S. hospitals have reported cases of patients who were infected. Most infections appear linked to one heater-cooler device -- the Stockert Heater Cooler System 3T made by LivaNova/Sorin – which was recalled by Health Canada in 2015. However, other devices are also under investigation. According to the Centers for Disease Control and Prevention, about 60 per cent of the 250,000 heart bypass surgeries performed in the U.S. each year involve heater-cooler devices.